Corgis started to gain popularity as the favoured dogs of Queen Elizabeth II. They are smart, intelligent, loyal. 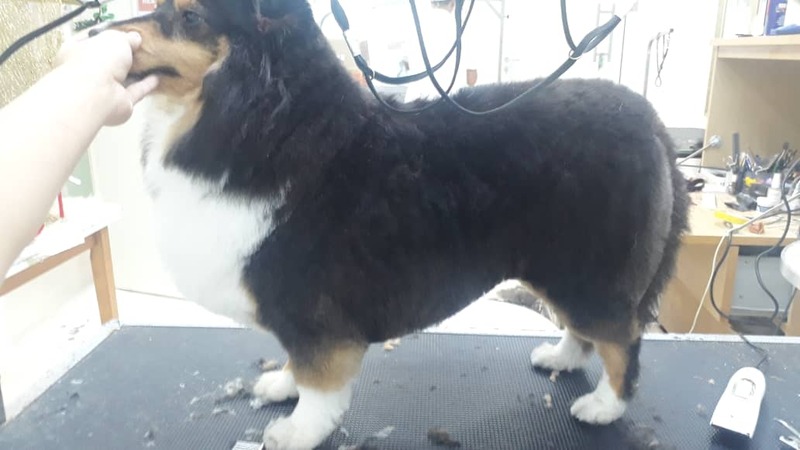 Corgi, despite its short stature, is a medium breed dog and need special permission to be allowed in HDB. 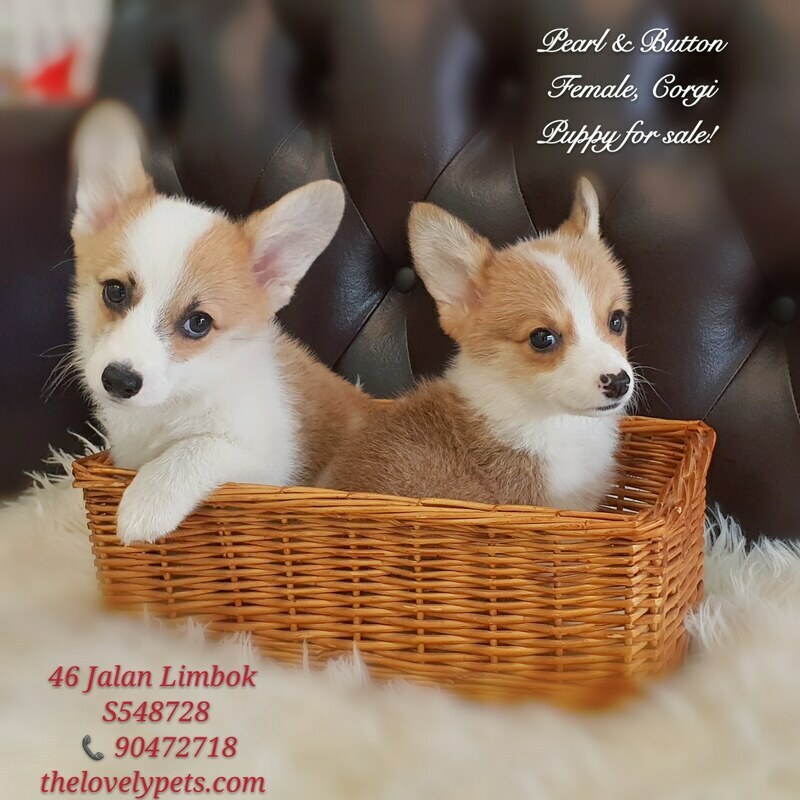 Corgi puppies are really popular in Singapore and are fast sold out whenever we have one puppy for sale available. Corgi's fur may appear sable when young but will actually turn fully orange as it grows to adulthood. 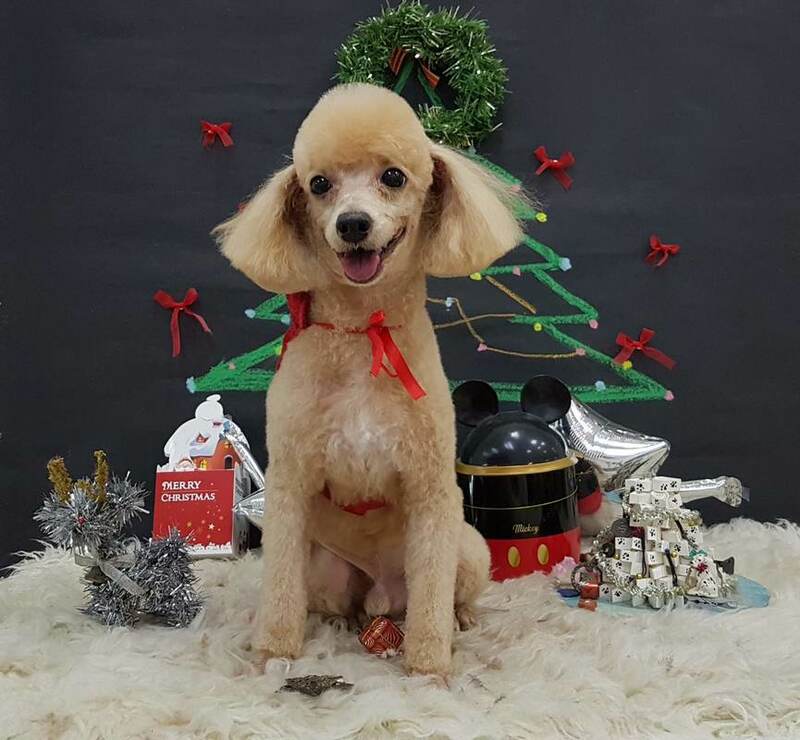 The are countless different styles you can do for a toy poodle. The most popular style is the teddy bear style above. Don't they look like a soft toy? Cute! 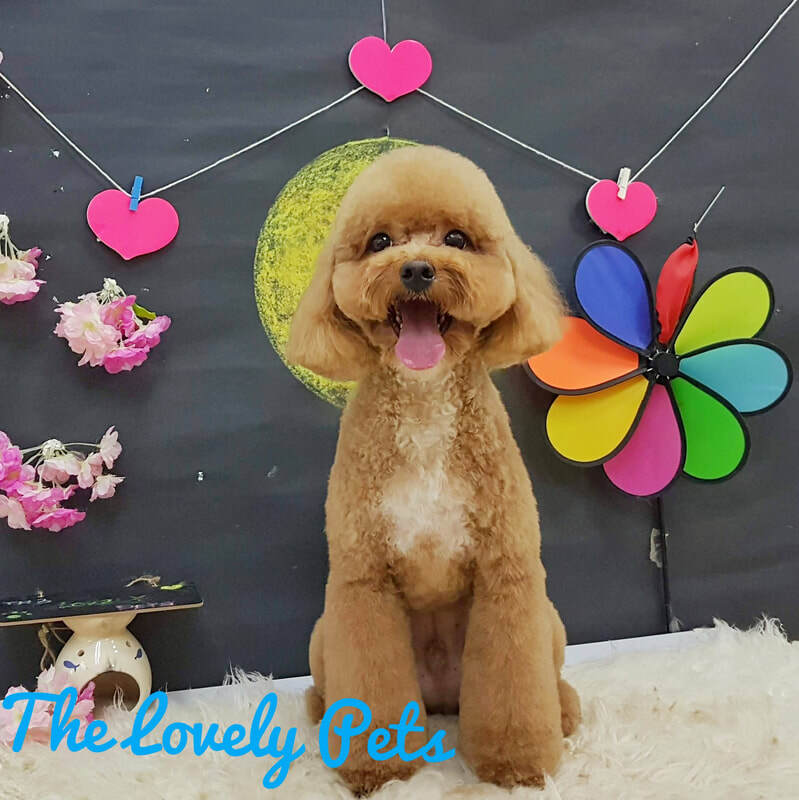 Above is another very popular style for toy poodle dog grooming. 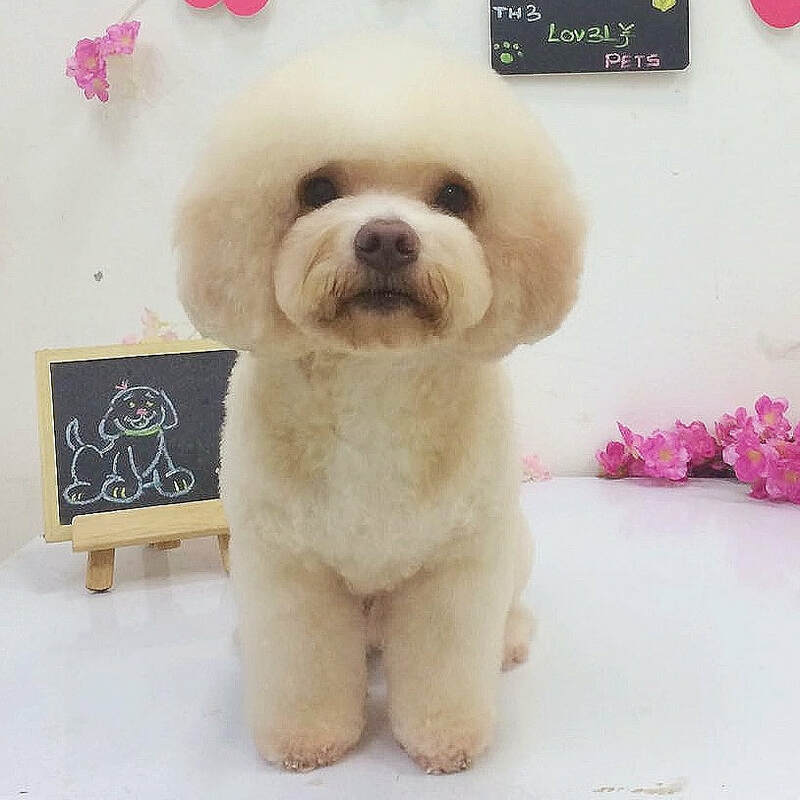 Teddy bear head with short body and legs. 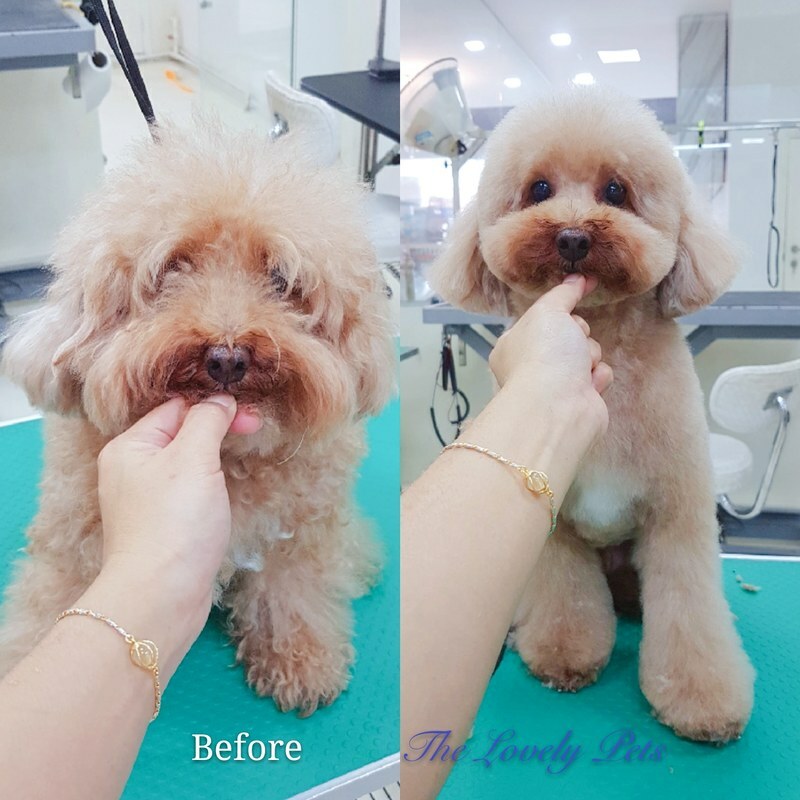 This is easy maintenance style, less work in brushing and drying after shower yet still very cute. This cut also.minimise chances of tangle or matting. Above is the teddy bear fluffy style with mushroom head. 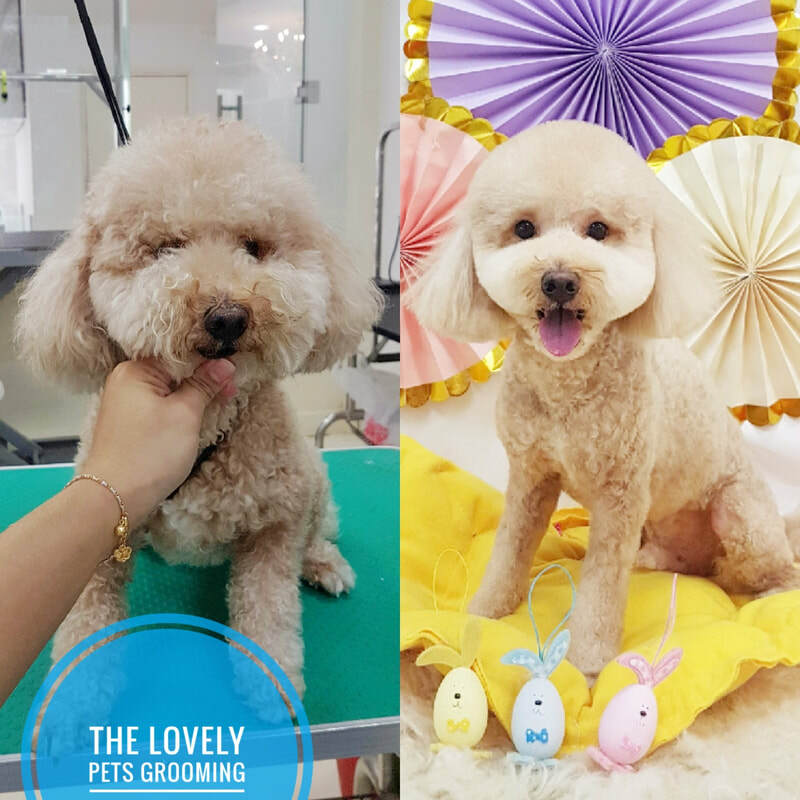 Above 2 pictures are clean face cut with fluffy body and short body. This is favoured by those who do not want the muzzle to be dirty from food or saliva. 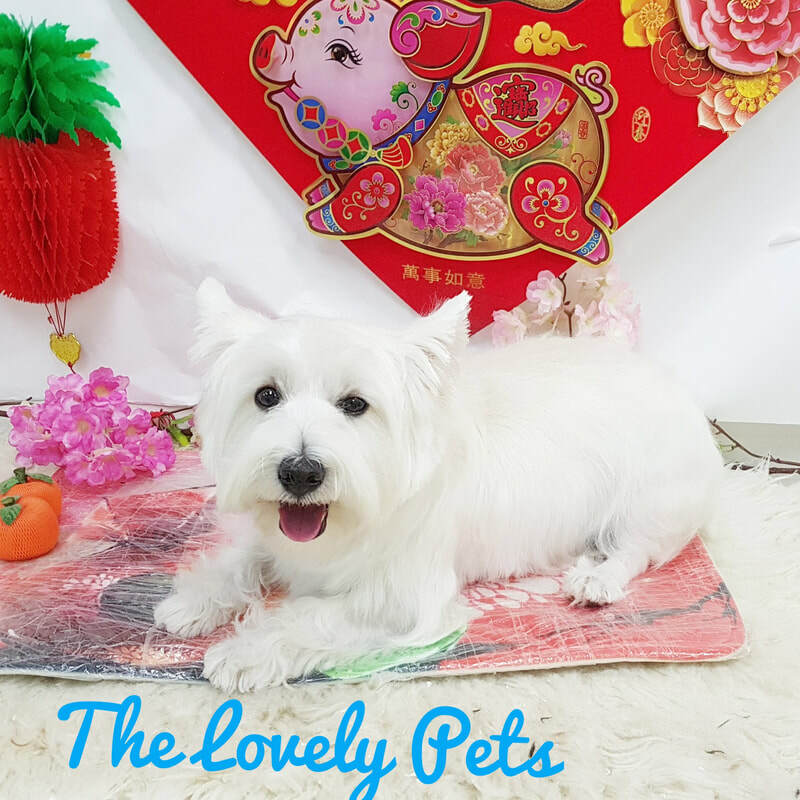 Westie dog grooming is a delight as they have beautiful hair. 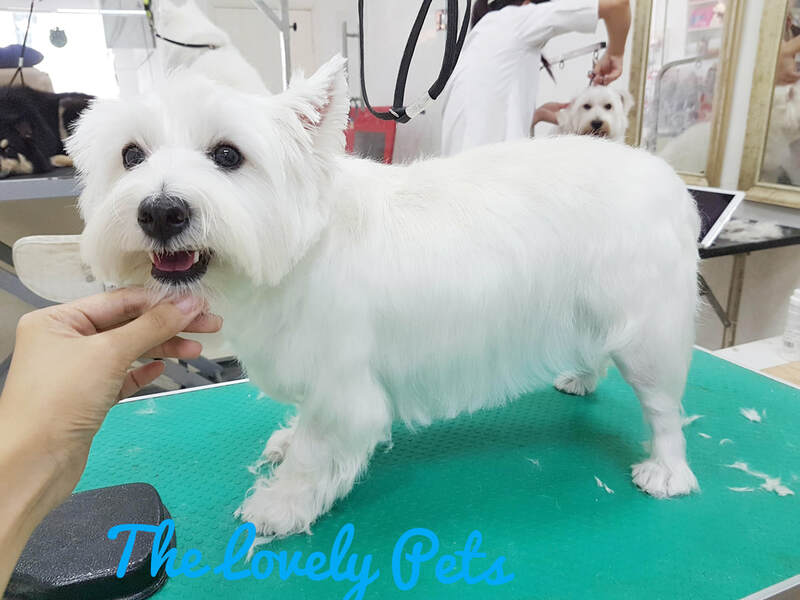 We have the opportunity to groom this gorgeous westie with long coat. Some owners choose to trim the body short due to convenience and easier maintenance. That is also a very popular cut. 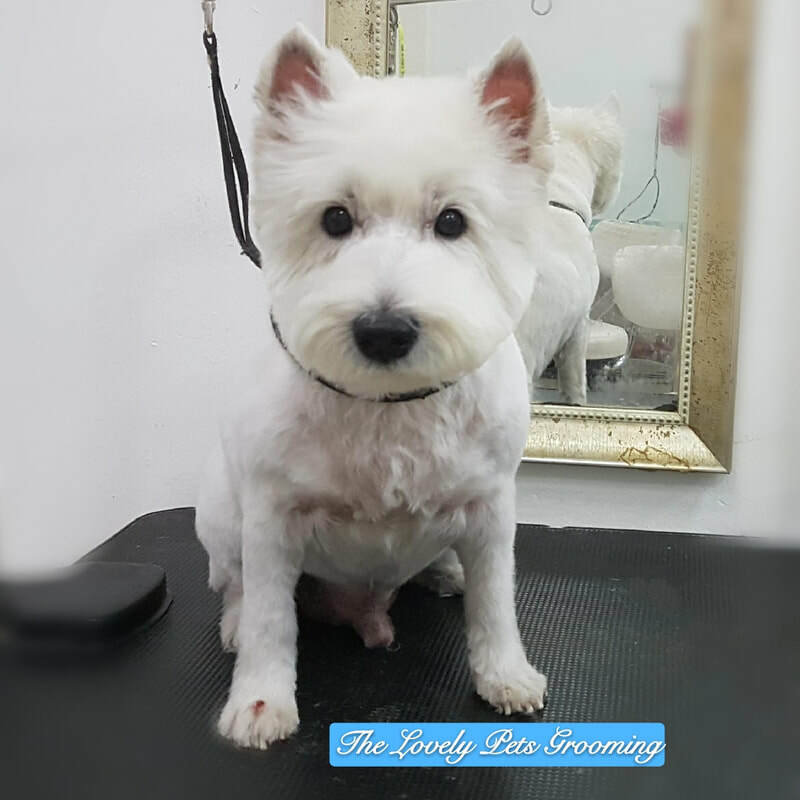 The above westie grooming before and after picture is an example of a short cut body with a full Westie head. 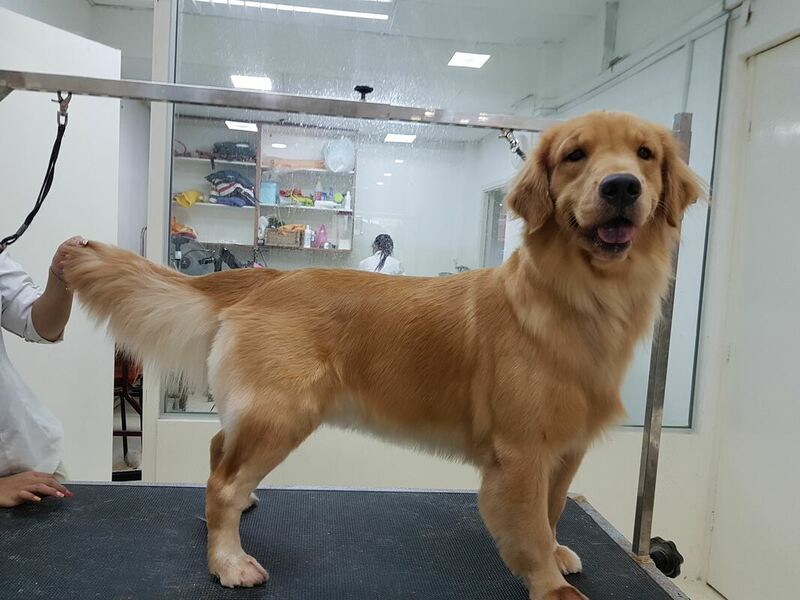 Golden retriever is a gorgeous breed with sweet temperament. 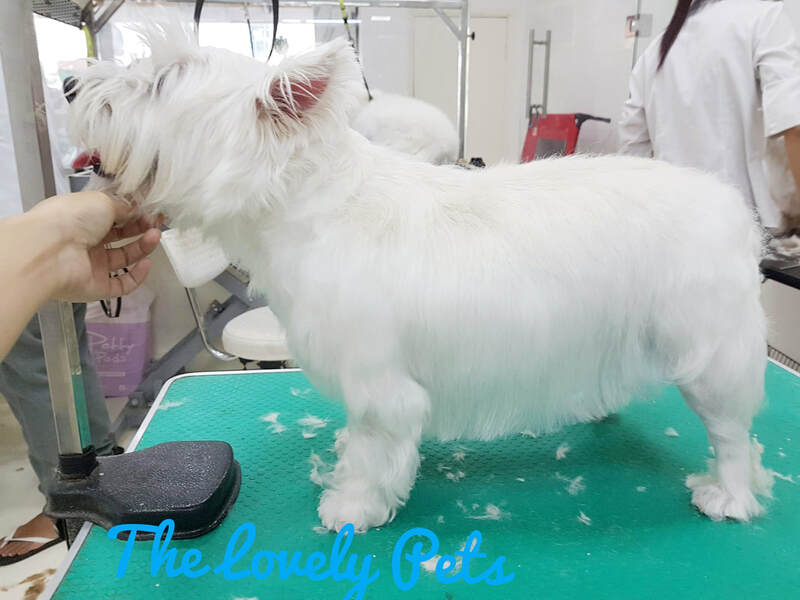 With proper grooming, their coat should be shiny and lay nicely on the body. 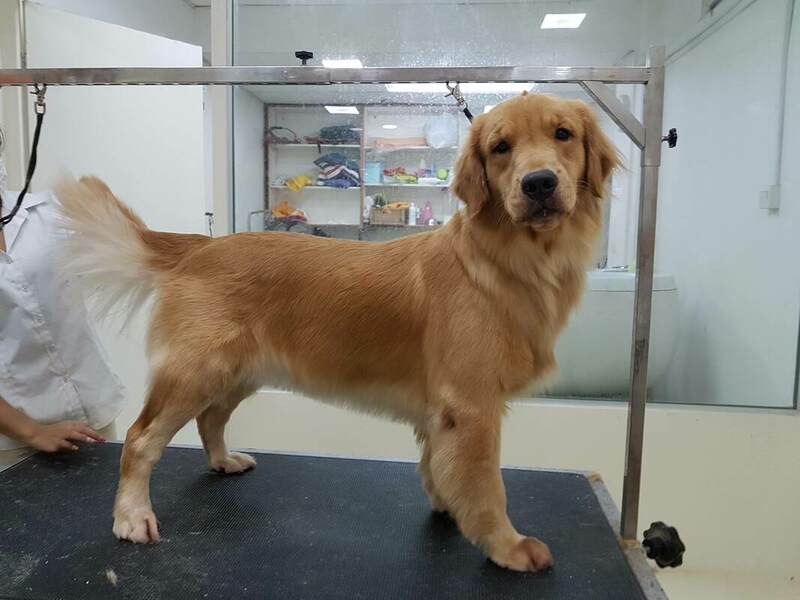 Many clients request for a short cut on their golden as they are not able to manage the shedding. In the end, their golden looks like a labrador. ​However, just the right comb and simple steps will allow you to keep the coat. This is a neat trim that we do after deshedding. See how glossy and beautiful the fur lies on the body. We also advise on what the customer can do at home to maintain the coat and minimise shedding. 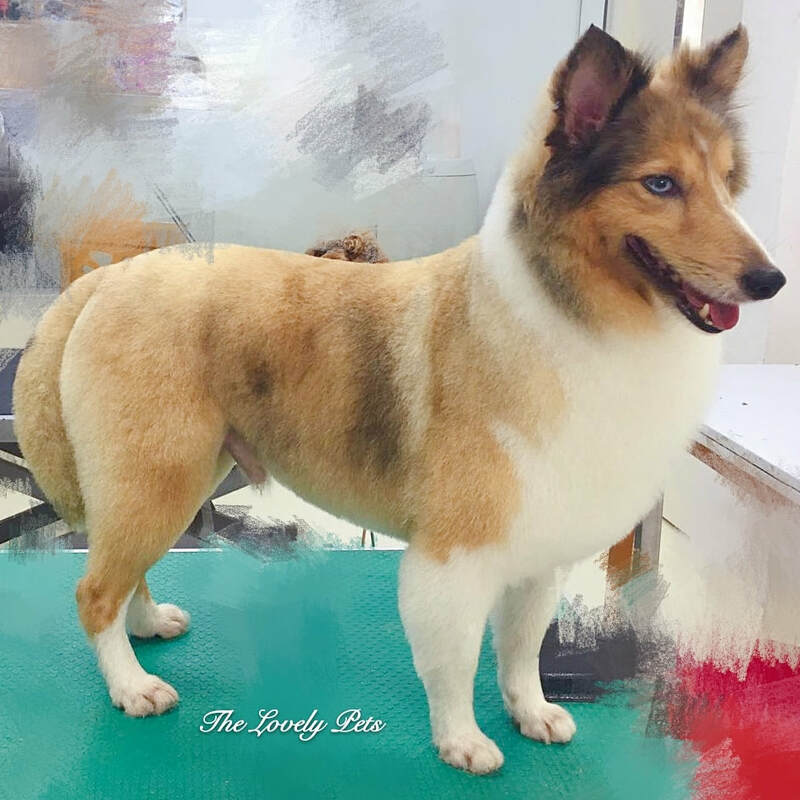 Most shetland sheepdogs who come for grooming require trimming of hair. The most popular cut is the neat look shown below. Another style is the more natural look shown below. In this case, the goal is to neaten flyaway hair while maintaining the natural shaggy look. Please see below. 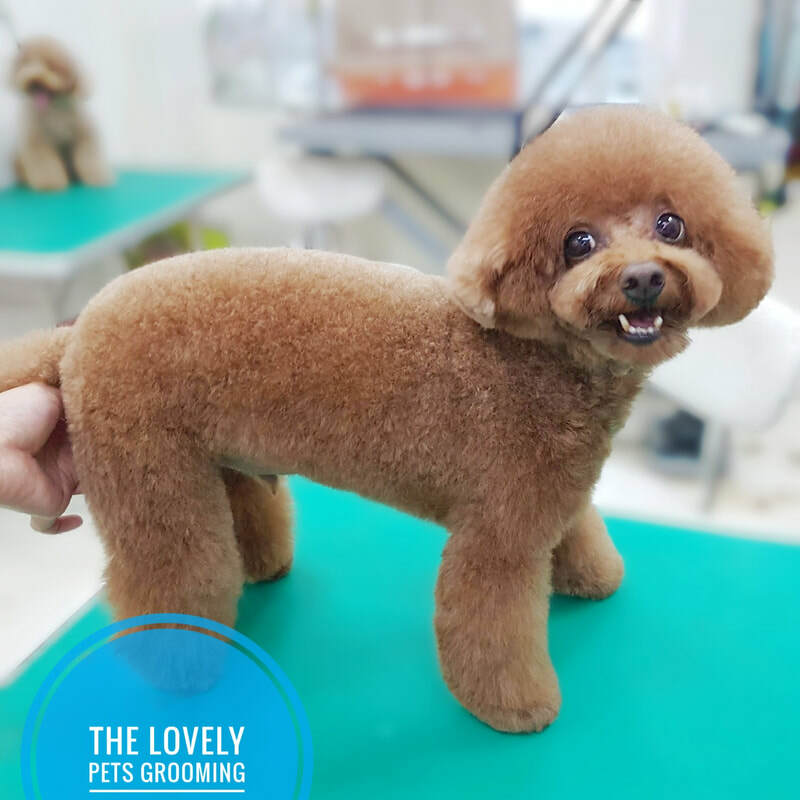 There is also the option of basic grooming where no trimming is done on the fur. 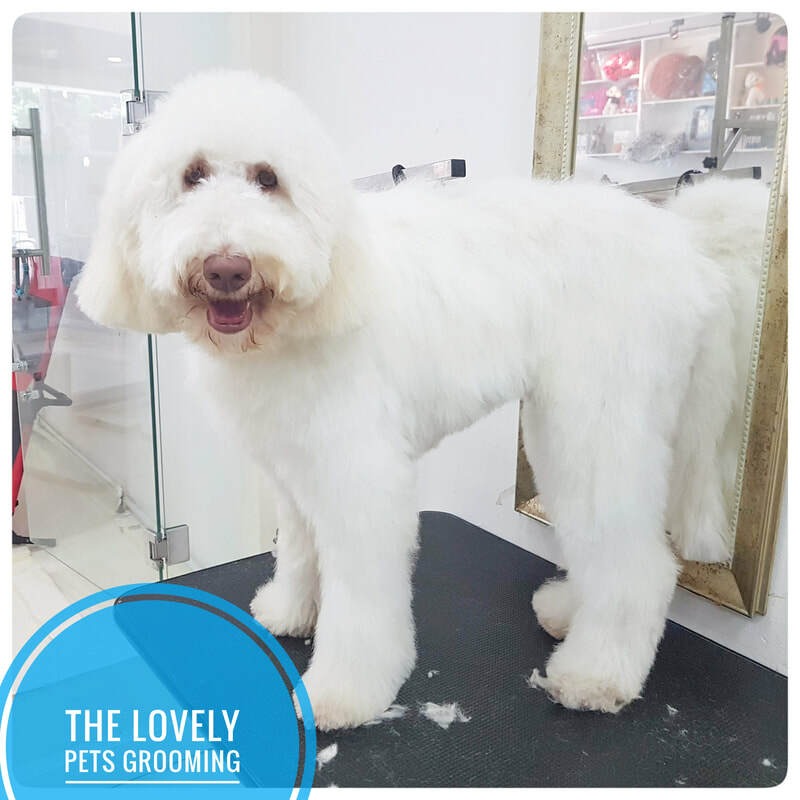 We ensure that the nails are cut, pawpad and private areas are trimmed, fur is deep cleansed and fluffed dry. 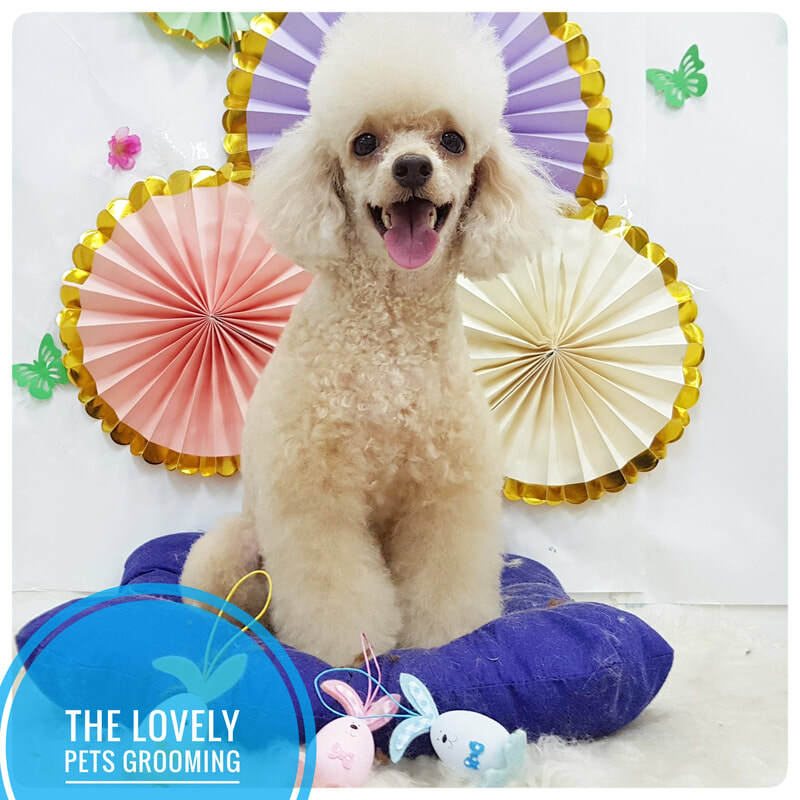 ​During grooming check in, we will consult you on your preference and evaluate the condition of the dog. 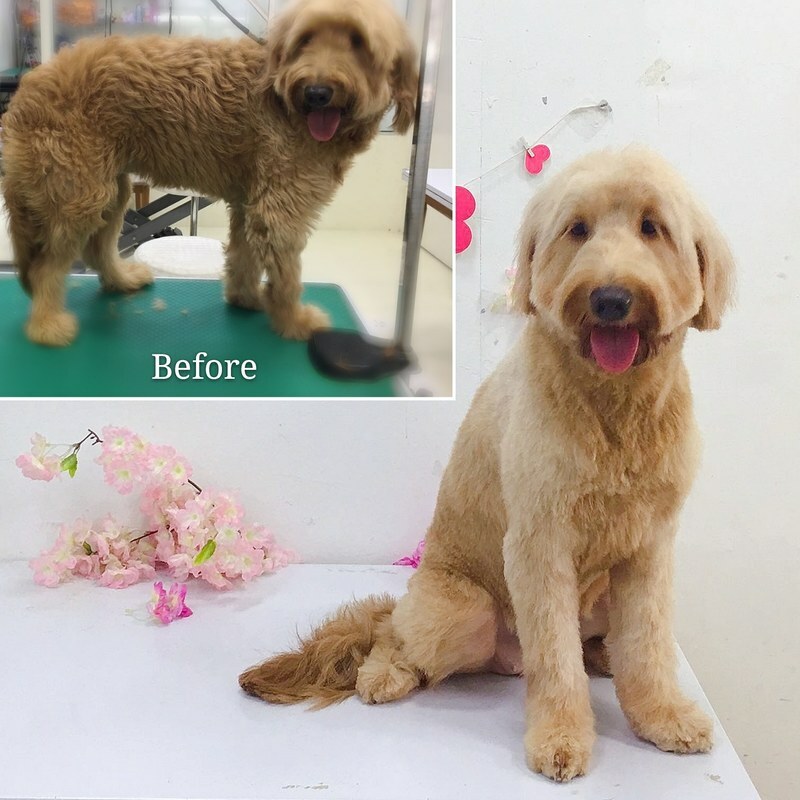 From unkempt to beautiful after grooming! 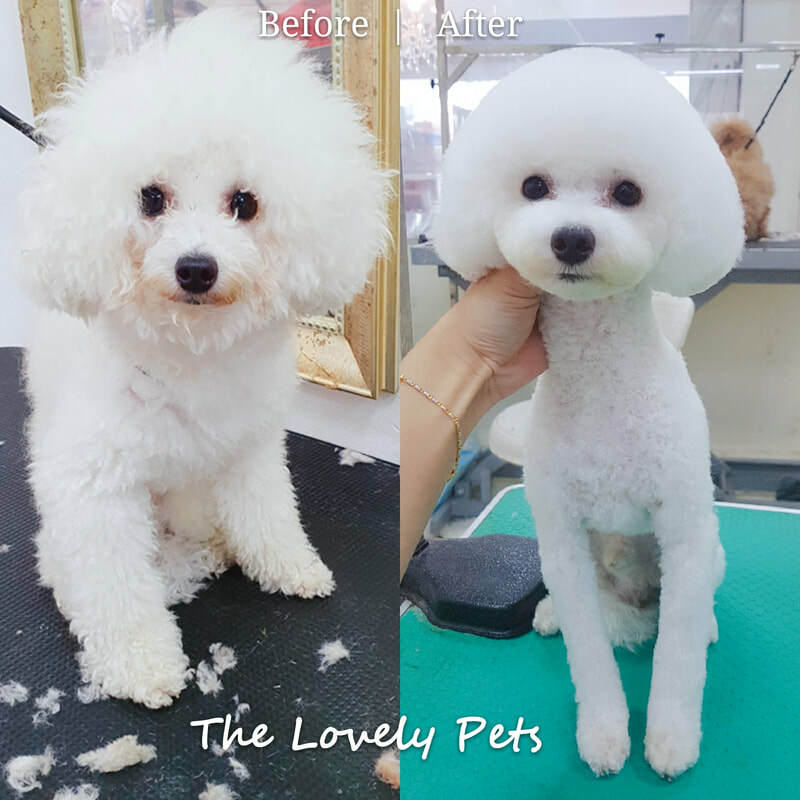 Other than teddy bear look, we can style your poodle to sport the "mushroom" head. Very fluffy and adorable. Matted coats can cause a variety of severe skin and health problems. 1. 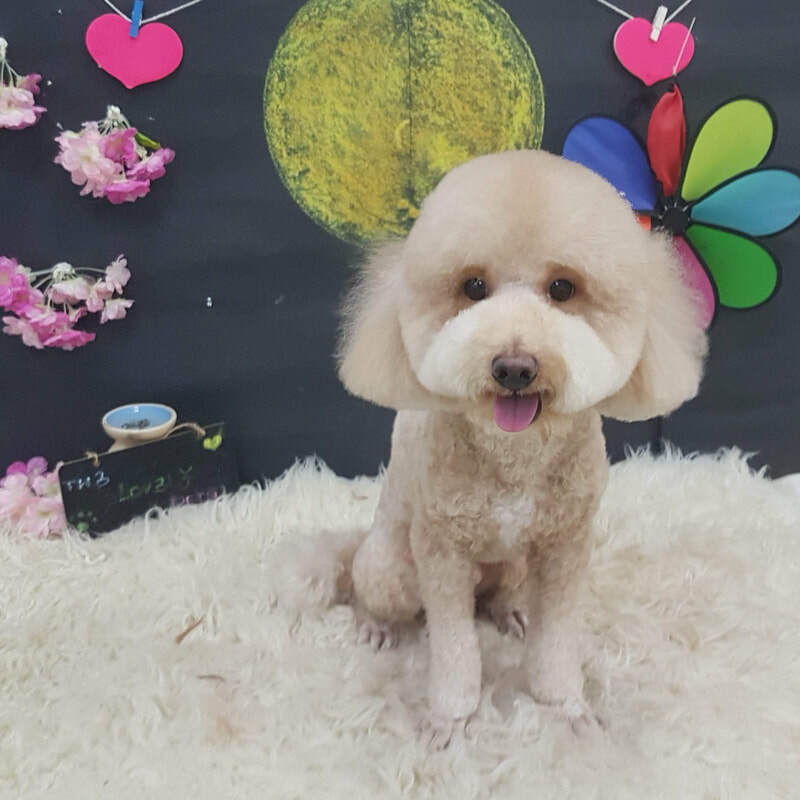 Matted fur does not allow for air circulation to the skin and will not dry properly causing hot spots, bacterial and fungal infections. 2. Fleas, ticks and other parasites may be lurking in the coat causing further skin infections. 3. Matted fur also pulls and binds, causing pain to your pet when they move or lay on mats. The skin underneath is usually raw and inflamed. 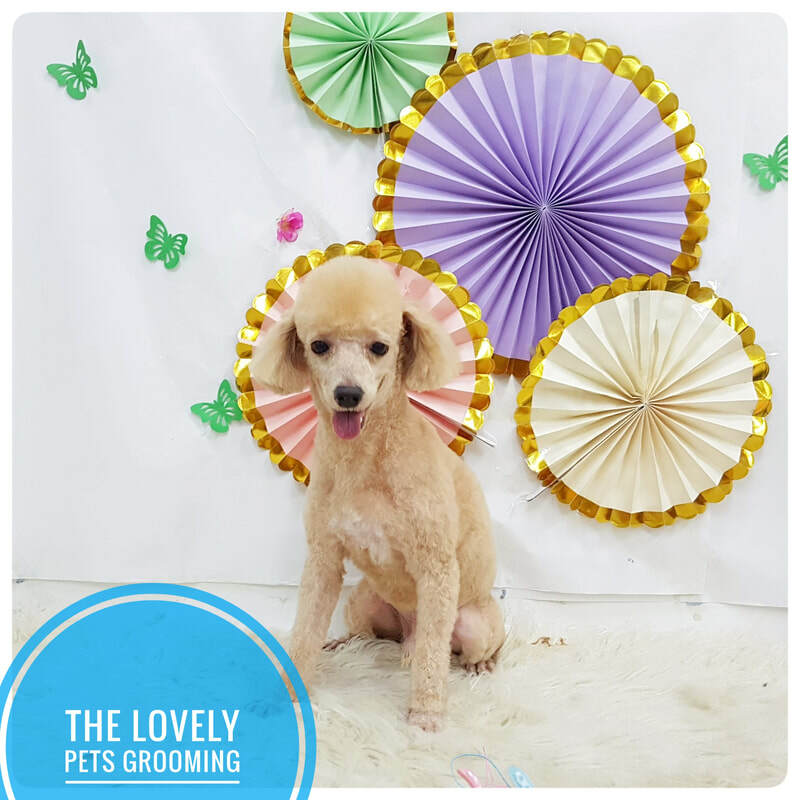 ​It is the goal of our salon and our groomers to make your pet's grooming experience as stress free as possible. 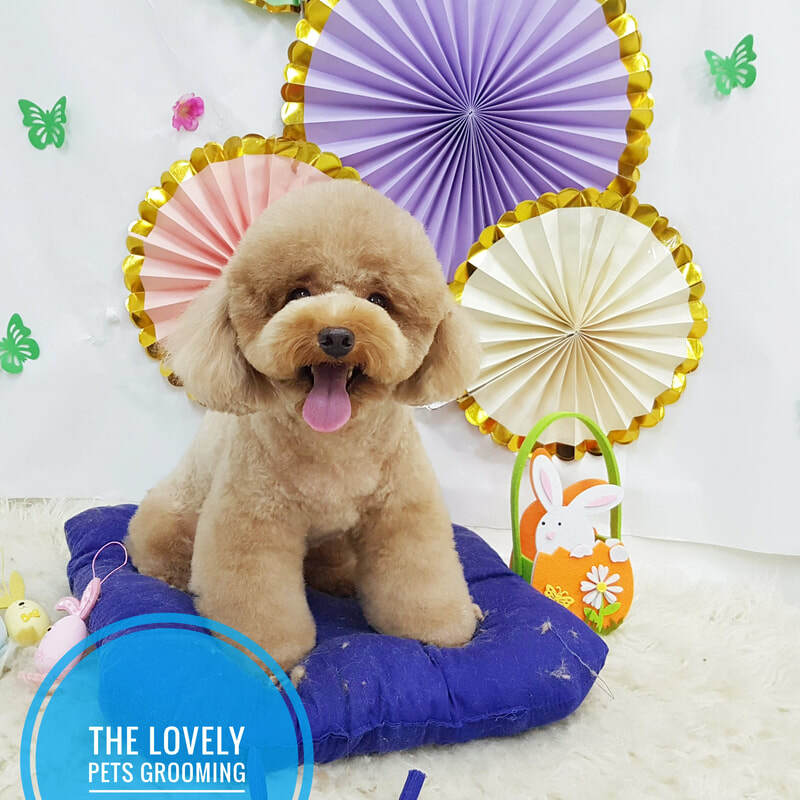 The matted hair rests tightly against the skin and the only way to remove it is to use a short blade clip between the skin and mats. There may be existing skin problems underneath which may not be visible because the matte was covering them. Afterwards, your pet may show signs of skin irritation and sores due to the matting, wet undercoat, and dirty undercoat. 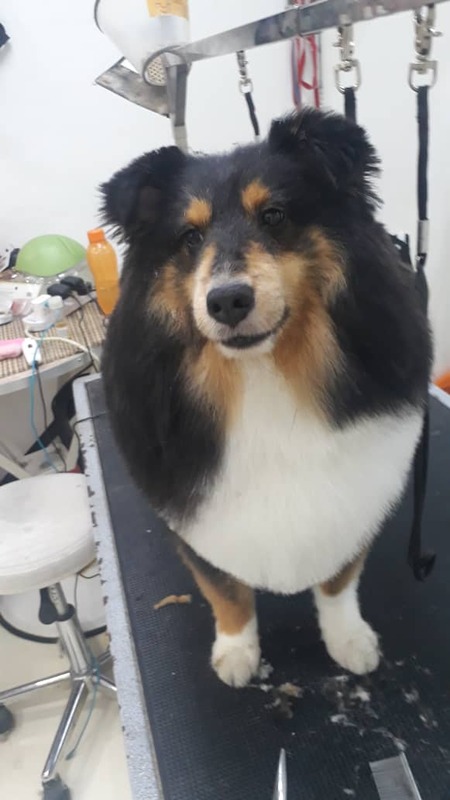 Our groomers are very careful but the possibility of injury and aftermath itching exists as we have to work so closely to the skin to remove the matted coat. 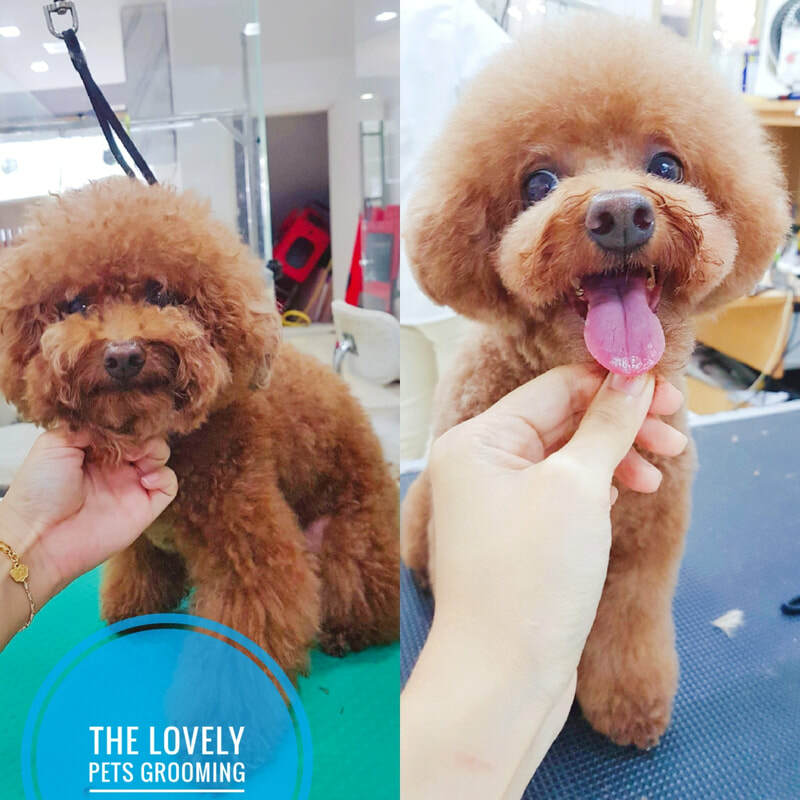 In order to take care of a dog/cat that has not been groomed often enough, and is matted, the required grooming session may be long, stressful, or painful. We try our best. Understanding these risks, our salon is authorized to proceed with the de-matting process. 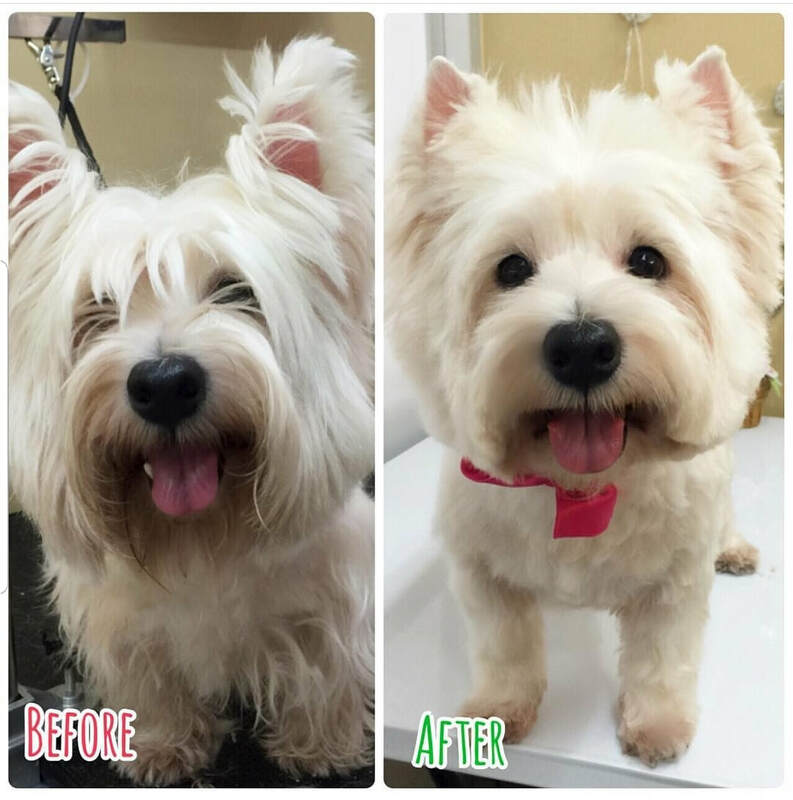 Please be sure to schedule a follow up appointment to speak with our groomer for the best methods of maintaining your dog/cat's coat. 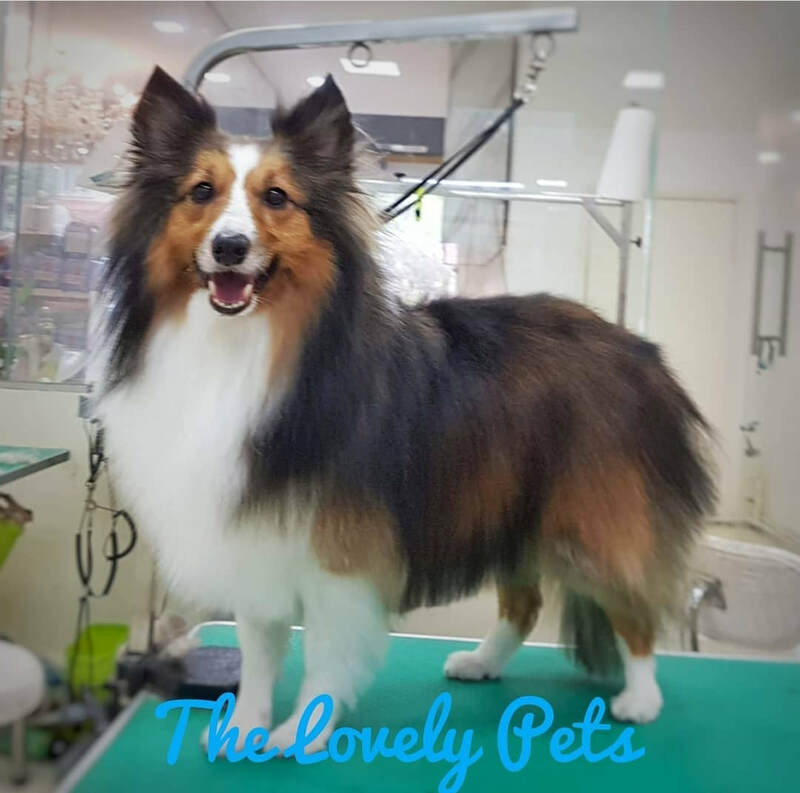 We, owners of our dog and cats, by engaging the services of The Lovely Pets hereby release the Lovely Pets and Grooming Staff from any liability associated with the above-mentioned process and any and all medical problems that may be uncovered and/or occur during the shaving and de-matting process. Should our pet need veterinarian care after or during this process, we agree to pay any and all veterinarian fees. 1. Long hair cats shed a lot and are prone to matting. The hair also traps dust and moisture.We bathe the cats and remove the excess fur to prevent matting.Matts are painful for the cats! 2. Long hair cats do get overheated sometimes. 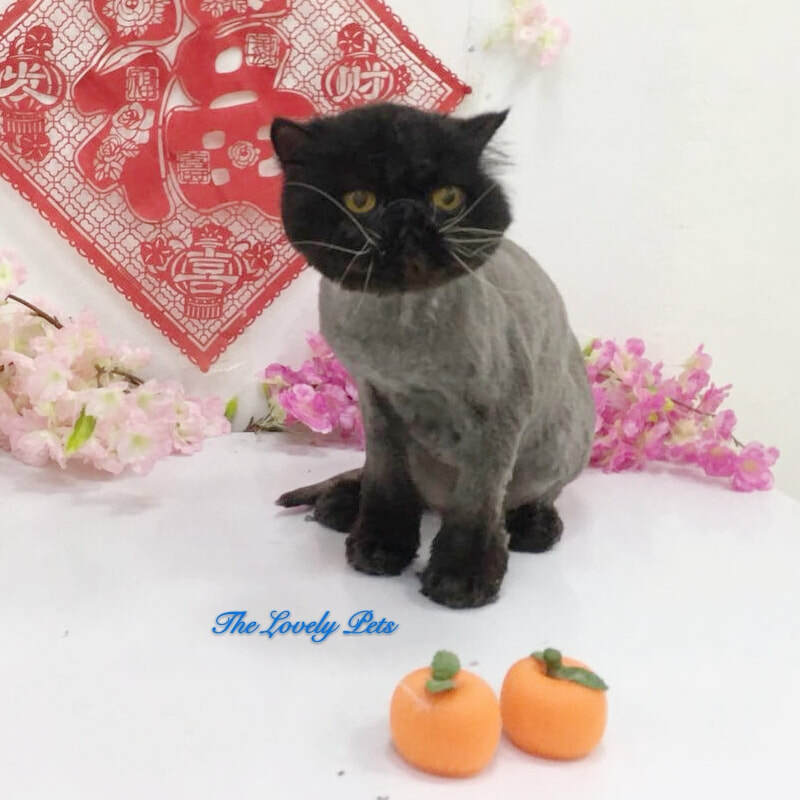 We have many customers who reported that their cats are so much more active after getting shaved. 3. When the cat is too dirty, self grooming by the cat will only spread the dirt and dander around. A thorough bath and dry session helps tremendously. 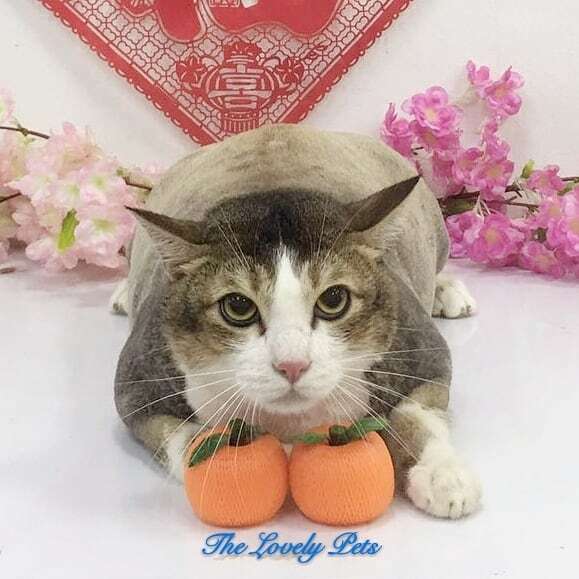 ​Cat's ears need cleaning once a week to remove the wax.If your cat like to scratch his ears excessively, there might be infection or mites. Regular thorough cleaning helps to prevent this. 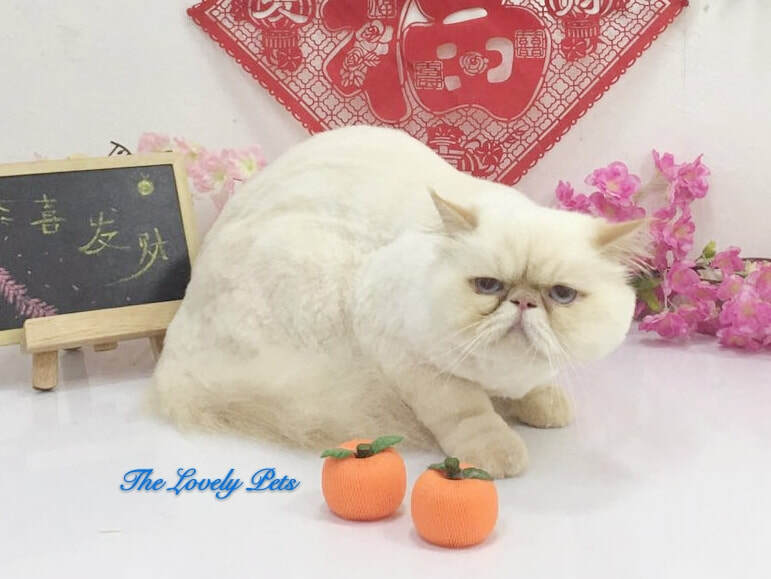 ​Below are some examples of cats haircut. The most popular cut is to leave 1 cm of fur on the body or to shave bald (leave about 0.3cm fur on the body).